Okay, if you know me, I am forever obsessed with peanut butter and bananas. You can always make this recipe with almond butter too! These muffins do not have any added sugar and use applesauce for sweetness!! 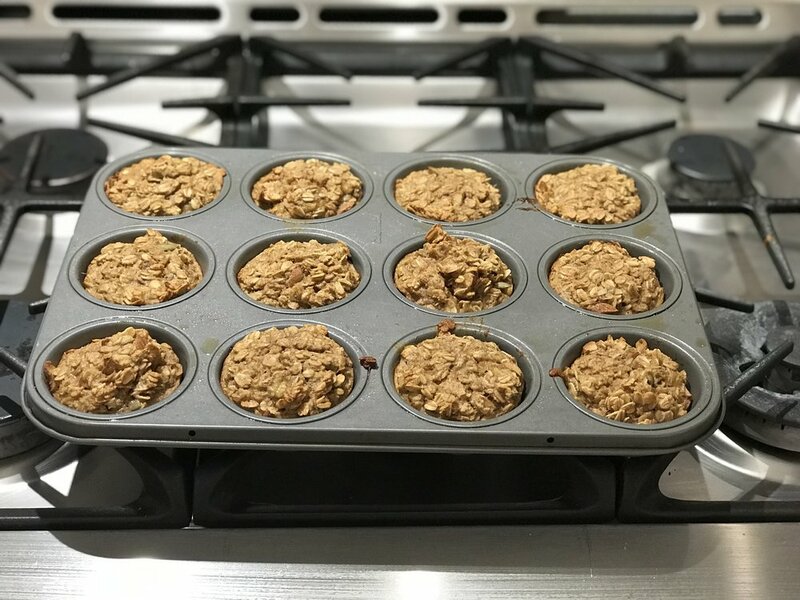 These muffins could be paired with yogurt or hard boiled eggs to make it a full meal or snack! Preheat oven to 350F. Spray a muffin tin with oil. Mash bananas and mix in with other wet ingredients. Spoon into muffin tins and cook for 25-30 minutes. Let cool and remove from tins. Store in fridge or freezer until ready to eat.